Changes made to the configuration of the SmartMedia units are stored on the OAM&P Configuration and Logging database. In order for changes to be used by the system, they must first be activated. This is done at the system level and accessed from the Navigation panel. 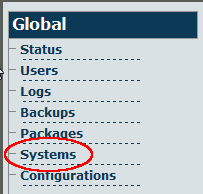 Note: To activate a configuration, you must be the Root user or have a user access level of 0. 1. Select Systems from the navigation panel. 2. Click Edit next to the system you wish to activate,in order to access the System Configuration screen. Note: Make certain that Lock Active Configuration box (located at the top of the page) is 'unchecked. 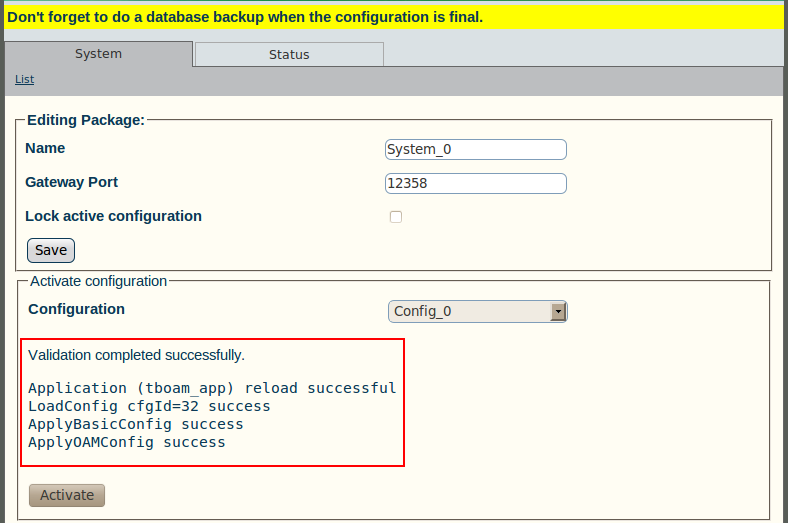 Failure to do so will prevent the configuration from being saved.